LOS ANGELES—Freely admitting that his accomplishment was no more than a mere blip on the radar in the grand scheme of things, actor Alan Alda announced Thursday that while it’s certainly much less important than almost everything else currently transpiring, he does in fact wonder if people are aware he’s getting a Life Achievement Award from the Screen Actors Guild. “This award is—in the limited frame of reference that is my own life—a pretty big deal, so I just can’t help but be curious if it’s crossed anyone’s mind. If not, that’s fine, mind you, seeing as there are so many more important stories in the news these days,” said the celebrated actor, emphasizing that although the recognition is certainly nowhere near as significant as Brett Kavanaugh’s controversial Supreme Court nomination, the Me Too and Black Lives Matter movements, widespread, growing economic inequality and disparity, the tumultuous Trump presidency, and continued accelerating environmental decay, he still believes a show-business career that has resulted in six Golden Globes, six Emmy Awards, three Tony nominations, and an Oscar nomination to be worth at least a little attention. “I mean, sure, it’s not a Nobel Prize, but in its own way, it’s still pretty impressive. Dr. Hawkeye Pierce may not have cured cancer or anything, but my performance on M*A*S*H brought joy to millions of people for over a decade, and I like to think that’s got to count for something. 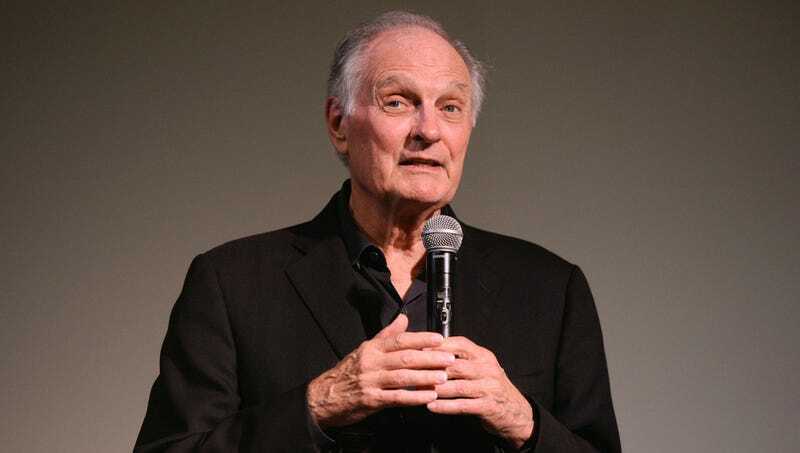 I know, I know, it’s just an award, but they don’t hand it out to just anyone, and I think it’s, you know, just nice to get a little recognition, even for something as trivial as a decades-long entertainment career.” Alda went on to apologize for the role his involvement with M*A*S*H may have contributed to the glorification of the U.S. military-industrial complex.